Fall in Canada is my favourite season. The brisk temperatures and changing colours of the trees makes for some truly memorable strolls. 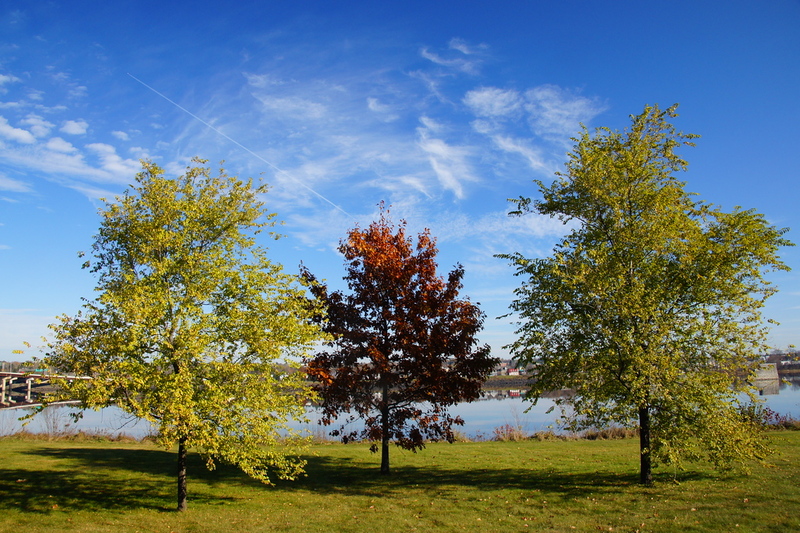 This photo is of a colourful maple trees in fall along the Saint John River – Fredericton, New Brunswick. This particular section of the trail is not far from my parents house. In summer and fall it’s my preferred area for working out, jogging and in-line skating. This is a travel photo from Fredericton, New Brunswick (Canada). To view the rest of my travel gallery from Fredericton click on the photo.